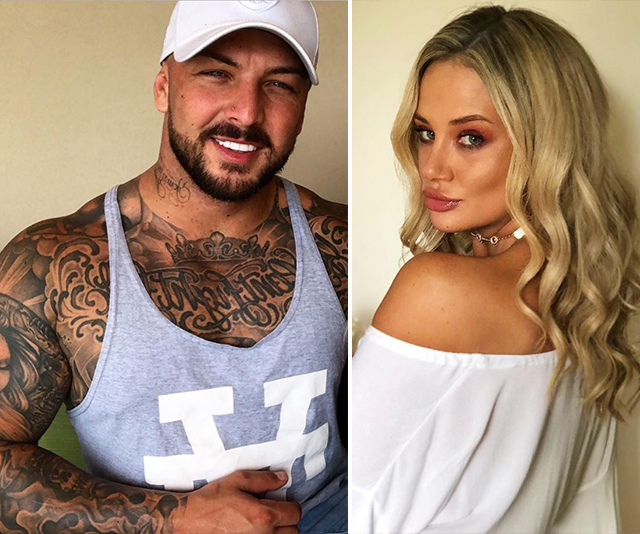 She's been labelled a homewrecker for making a move on four other grooms on the show, but it's been revealed there was another man on Jessika's radar – her rumoured secret boyfriend back home in Perth. 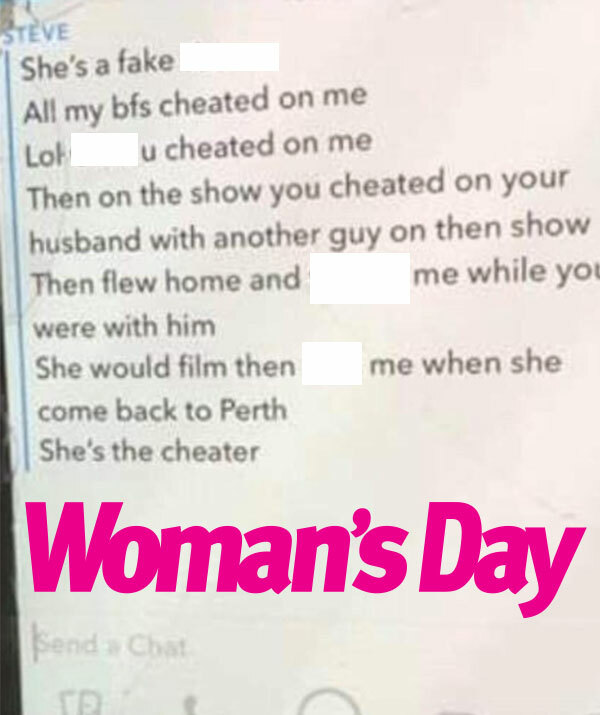 Woman's Day has exclusively obtained messages sent by Steven claiming Jess, 27, was cheating on her TV husband Mick with him during filming of the show in Sydney, and would call him every day and fly back to WA to see him whenever she could. "She would film then f**k me when she came back to Perth," one text from Steven reads. In the messages, he calls Jessika a "cheater", claiming she cheated on him with Mick, then cheated on Mick with Dan. A source tells Woman's Day Jess promised Steven she would remain faithful during the show and they'd be officially together again once filming had wrapped. "She said it was an opportunity of a lifetime and she was going to use the show to kickstart her modelling career," the source explains. "She assured him she could never love anyone else." However, when Jess met Dan and developed true feelings for him, she had a change of heart. A friend of Mick's says the farmer also suspected Jess had a boyfriend outside the show when she went missing for a night during the Perth homestays and he caught her FaceTiming and calling him on a regular basis. "She told Mick she was going to a friend's house to visit her child, but she never came home," the friend adds. "He later put the pieces together and realised she'd spent the night with another guy."